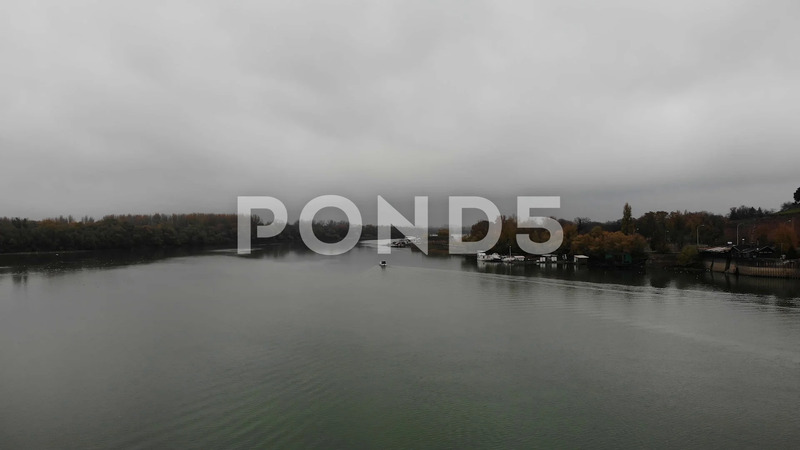 Description: 15 seconds footage, filmed on the Danube river with a drone. Little boat remains in the distance. HD quality.